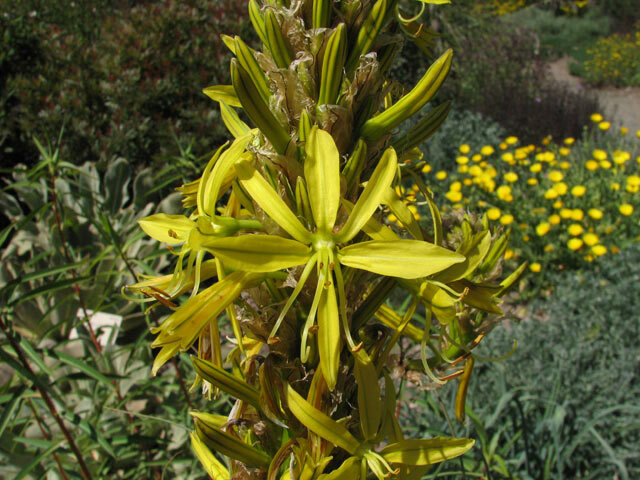 Asphodeline is a genus of primarily rhizomatous Mediterranean plants in the Asphodelaceae family. 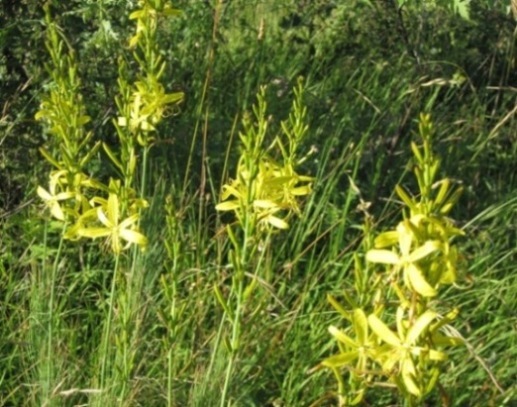 The genus contains about 16 species. 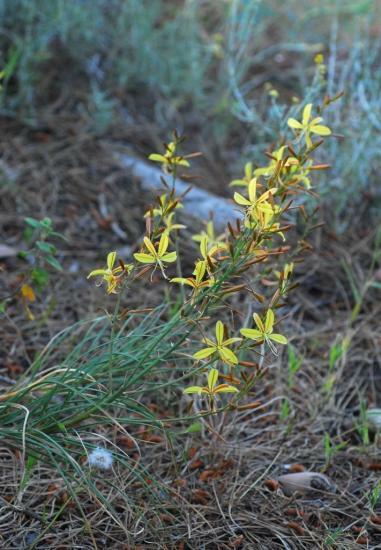 Asphodeline brevicaulis is a slender species 25-50 cm with a central, multi branched flowering stem. 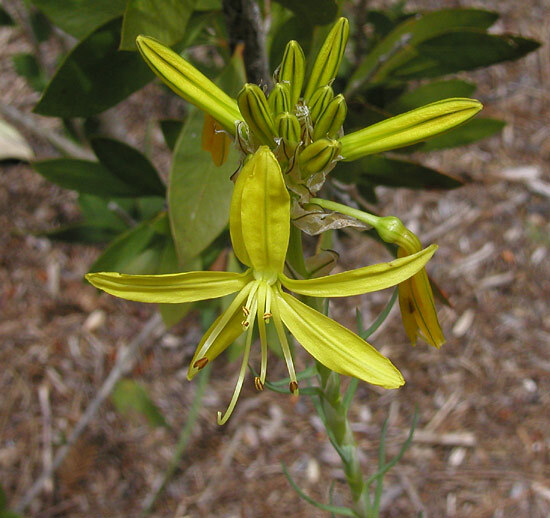 Flowers open in the late afternoon and close the next morning. 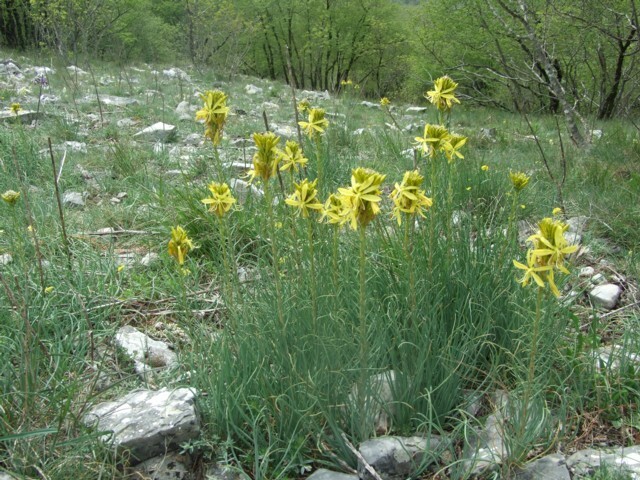 Growing in rocky situations from sea level up to 1900 m circ. Photos where taken in SW Turkey by Oron Peri. 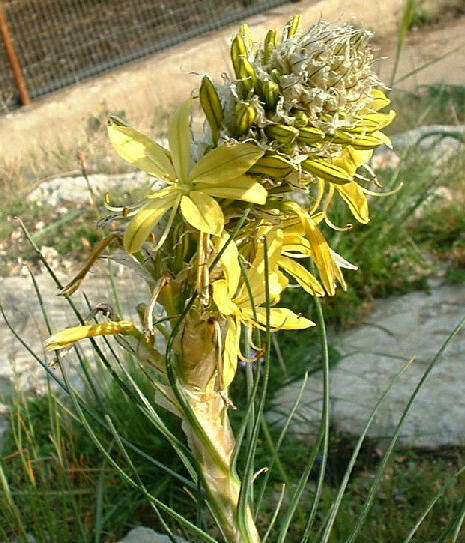 Asphodeline lutea with its tall, yellow spikes in early spring is a classic element of Mediterranean flora, growing in arid pastures and maquis. 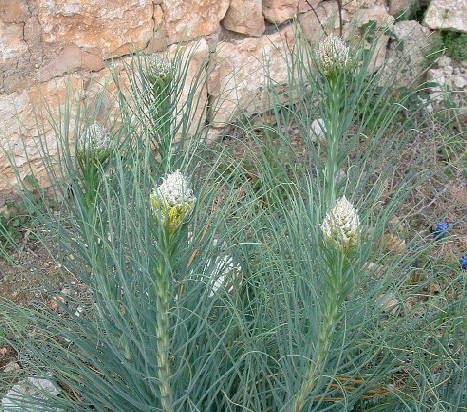 The inflorescences, harvested before bloom, are a delicious vegetable. The first two photos were taken in habitat by Angelo Porcelli. 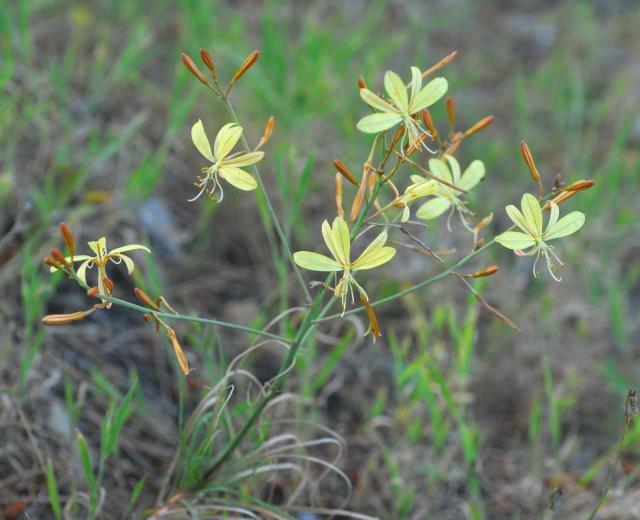 The third photo is a close-up of a flower and buds taken May 2005 in Northern California. Photo by Mary Sue Ittner. This plant was short lived in her garden. The fourth and fifth photos were taken by Nhu Nguyen at the UC Botanical Garden. Photo number 6 was taken in habitat by Gianluca Corazza. 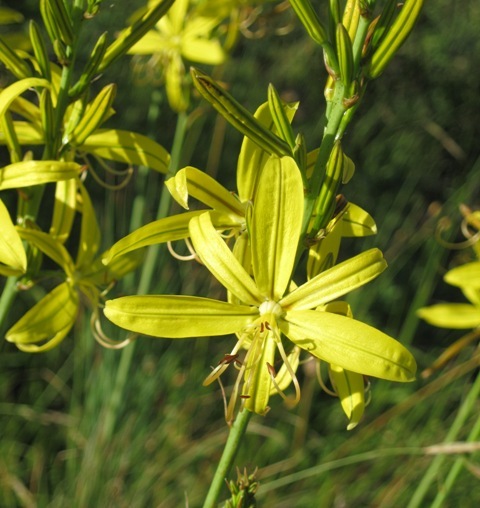 Asphodeline liburnica grows in moister areas, often sparse woodlands and bloom much later than A. lutea. 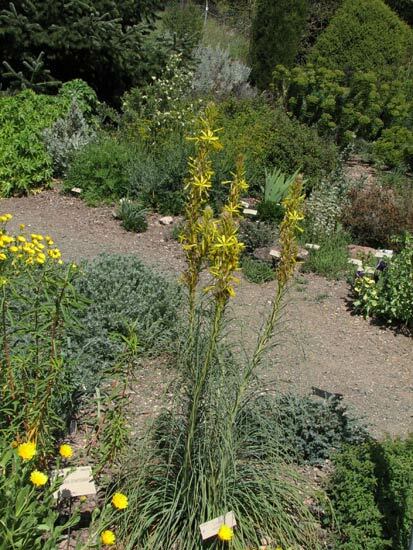 It bears an elegant spike of bright yellow flowers, often branched, atop on a slim Equisetum like stem. Photos in habitat by Angelo Porcelli.